Also on the road with our dream bus? We are happy to share it! -220v connection when you are at the campsite! - Fully all risk insured incl. Breakdown assistance and replacement transport so you can go on a journey safely! - That you step into the bus full of enthusiasm and love! - Make a nice picture of the places you go! 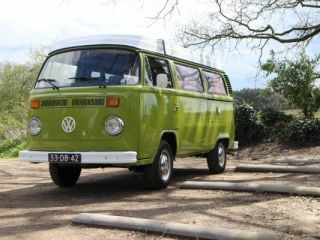 Upon payment you will receive a manual from us with more information about the camper. 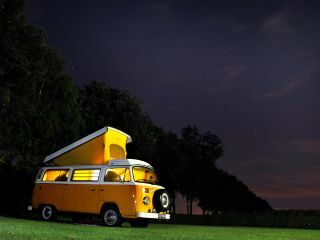 We also have two other campers you can choose from! Before departure you can indicate whether you want to make use of the extra options. These are: polaroid camera (free), camera refill (25 per filling), bed linen (12.50 euro per person), bike carrier (25 euro), a chemical toilet (25 euro), a cot (25 euro), 20 m extension cable euro plug (5 euros), navigation (25 euros) and final cleaning (35 euros). If you want to travel abroad with our motor home, you must take out travel insurance here. This is your responsibility. This involves very good roadside assistance and replacement transport so you can go on holiday without worrying. https://www.camperverzekerd.nl/tijdelijk-europa-pechhulp.